A US financial services company, ItBit offers two main services: a Bitcoin exchange and an over-the-counter (OTC) trading desk. This is a regulated, New York City–based company that launched in 2013. 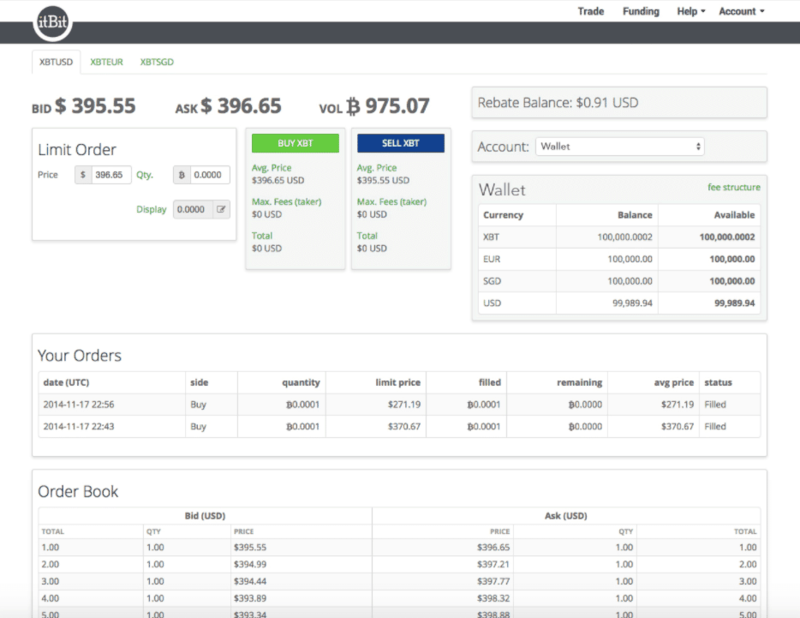 Indeed, ItBit became the first regulated Bitcoin exchange in the United States in 2015. It also has an international office in Singapore. The exchange offers deep liquidity and relatively low fees, particularly for those with high trading volumes. ItBit is regulated as a bank and is available across all US states with the exception of Texas. As a result of such regulation, the verification process is fairly extensive, with identity verification and proof of residency required. It typically takes one to three business days to be verified. However, US residents can use the knowledge-based authentication system (KBA), which should help speed up the process. This is a simple platform to use with little in the way of trading features. While it’s possible to set up a limit order, stop-loss orders are not available. What’s more, margin trading isn’t supported. ItBit is easy to use thanks to its clean and user-friendly design. While it’s optimized for mobile use, there is no app available for Android or iOS as of yet. Security is offered with two-factor authentication, and user funds are kept in cold storage. As far as we know, ItBit has never suffered a serious security breach. ItBit supports three fiat currencies: the US dollar, the euro, and the Singapore dollar. All of these can be traded against BTC. However, this is a Bitcoin-only exchange at present, and as such, no other cryptocurrencies are supported at present. ItBit supports most countries around the world. ItBit is available in all US states except Texas, having ceased services in the state in April 2016. A domestic wire transfer in the United States carries a $10 fee, while an international wire transfer has a charge of $40. As such, you’ll want to avoid buying very small amounts of Bitcoin, as it just wouldn’t be worth it. There’s also the option of a SWIFT deposit, which has a fee of $40 plus agent fees. A SEPA transfer of below €50,000 has a fee of just €3.70, while a SEPA transfer of over €50,000 carries a €35.15 fee. It’s worth knowing, however, that it’s free to deposit both SGD and BTC. USD withdrawal can be made via ACH, which is free up to $3,000 for US citizens. Anything over that amount has a $20 fee applied. The fee for an international wire transfer is $40, while SWIFT transfers are $40 plus third-party fees. Withdrawing in EUR via SEPA carries a fee of €8.14 if the amount is under €50,000. If the amount exceeds this, €70.32 is charged. As with deposits, withdrawing in SGD and BTC is free of charge. When it comes to Bitcoin trading on ItBit, the fee structure is relatively simple. There’s a 0.20% taker fee and a 0% maker fee. Special fees are available for those making large-block-size trades of over 25 BTC. For this reason, ItBit is a particularly good exchange when you want to buy large amounts of Bitcoin. The good news is that ItBit offers support via both email and phone. General inquiries can be made to info@itbit.com, while the customer support address is help@itbit.com. Twenty-four-hour phone support is available Monday to Friday with the option of calling offices in the United States or Asia. It’s also worth mentioning that the ItBit website has an extensive FAQ section, which should answer most questions you might have. While there are some negative reviews regarding ItBit customer support online, you’d have some trouble finding a cryptocurrency exchange that doesn’t have such comments. The general consensus is that ItBit is ideal for buying and selling large blocks of BTC thanks to the OTC trading desk. Advantages of this include personal trading support and low fees of just 0.10% per transaction. ItBit is also a good option for those who are wary of the legality of Bitcoin and cryptocurrency, as it’s licensed with the New York State Department of Financial Services. Also, it’s nice to know that ItBit has a number of safety features in place and has never been hacked. The platform is generally seen as well designed and functional—but a little too simple for those looking to day-trade since there’s no option for margin trading. Where some people feel ItBit can improve is in its payment options. Credit and debit cards are not accepted, and this is a quick and convenient option that many people like to use. Also, there’s no option to buy or sell any other cryptocurrencies apart from Bitcoin. Many users would be happy to see more added over time, particularly as cryptocurrencies such as Ethereum continue to grow in popularity. 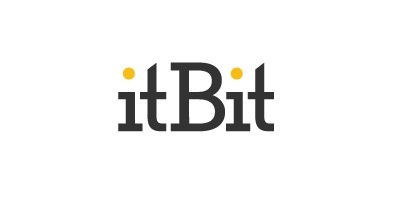 ItBit is a solid choice if you’re looking to buy and sell Bitcoin, as it’s a legitimate and regulated exchange that is available in most locations. It offers an easy-to-use platform as well as a number of security features for peace of mind. However, it would be nice if there was an option to buy other cryptocurrencies. Being able to do so with a credit or debit card would make things much quicker and easier. There are also a few trading features that may put off those looking to day-trade. Have you used ItBit for buying and selling Bitcoin? What do you think of this Bitcoin exchange? Let us know in the comments below!